Every wig wearer wants to achieve desirable hairstyles , hair color and comfort while wearing any lace wig in the market. However some are confused with certain wig cap interior constructions like ones of Lace Front Wigs with straps and the ever growing in popularity in lace wigs the 360 Frontal Lace Wigs with Straps. But What’s the difference in these well talked about and highly demanded lace wigs with adjustable straps? With a lace front wig cap construction it comes in several different variations the lace front wig is popularly known for its adjustable straps on the interior of the wigs, though there are about three to five variations of the lace front wig cap that Lace Frenzy Wigs and Hair Extensions carries in stock and available for custom ordering. 2. 13×6 Deep Parting Lace Front Wigs gives a wearer the capacity of creating a 6 inch center part restyling option. 3. 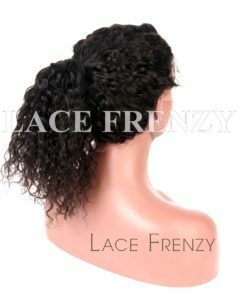 Lace Front Wigs with lace at the nape – appeals to those who wear their wigs in a mid level updo/ ponytail and desires the appearance of a natural nape hairline base. 4. 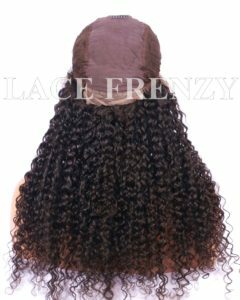 Lace Fronts with Machine Weft backing – features the basics of three combs adjustable straps with the capabilities to pull through your natural hair to blend with the hair texture of the wig or giving the wearer proper ventilation while wearing. What’s a 360 Frontal Lace Wig? 360 Frontal Lace Wigs are the best option for either veteran wig wearers or a person transitioning from bundles and closure hair pieces to lace wigs. 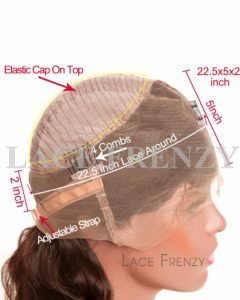 It is crafted with wefts pre-sewn and a circumferential soft Swiss lace measuring 22x5x5x2 inches, with four uniquely placed combs for a snug secure fitting and adjustable straps as an added secured fitting feature. These wigs are also handmade with a natural hairline and soft baby hairs all around their perimeter of the wig. Which gives the wig wearer a flawless hairline appearance. Whether you are new to lace wigs each type of wig cap is very ideal to one’s transition into lace wigs. For those stepping away from bundles for a short time , it’s wise to go with the ease of restyling options a in 360 Frontal Lace Wigs. This gives you not only the familiarity of a lace frontal and bundles but an all-in-one pre-sewn frontal and bundles style in lace wigs with straps and combs inside for added security features to your lace wig. Lace Front Wigs with straps has several internal wig cap construction advantages. 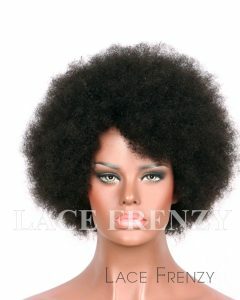 With several lace front wig caps available for immediate delivery verses the 360 Frontal Lace Wigs with straps . With silk base / Silk top lace front wig cap as well the option of having Swiss lace at the nape , with the securing features and adjustable straps wigs wearer has a wider variety in purchasing options all based on the wig wearer preference in restyling of their lace wig. This entry was posted in 13x6 Lace Front Wigs, 360 Band Lace Frontals, 360 Frontal Wigs, 360 Lace Frontals, Hair, Heavy Density Lace Front Wigs, Human Hair Lace Front Wigs, Human Hair Wigs, Lace Front Wigs, Silk Top Lace Front Wigs, Wig Knowledge and tagged 360 Frontal Lace Wigs, Brazilian Hair Lace Wigs, human hair lace front wigs, Lace Front Wigs, Lace Frontals, virgin human hair lace wigs. What’s Better : A Lace Frontal or 360 Frontal Wig? Why Most Gravitate To Curly Hair Texture Lace Wigs?